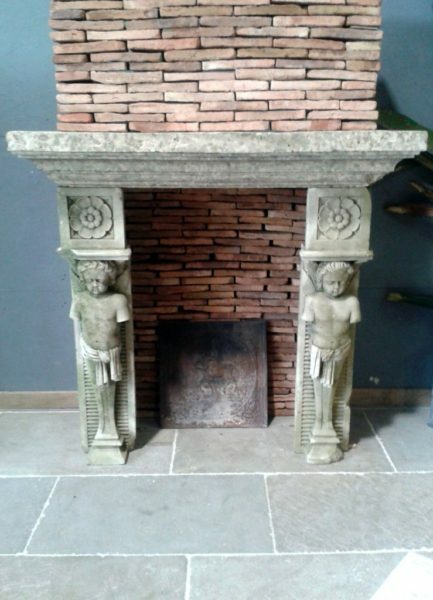 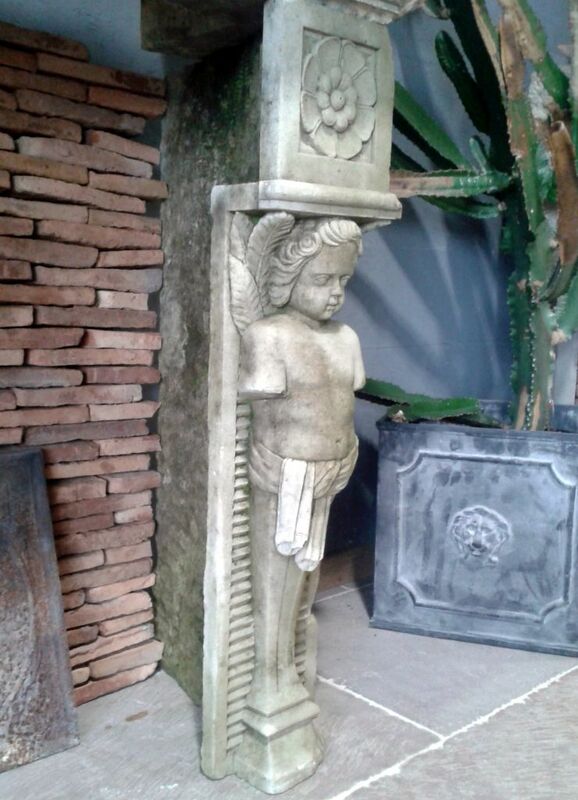 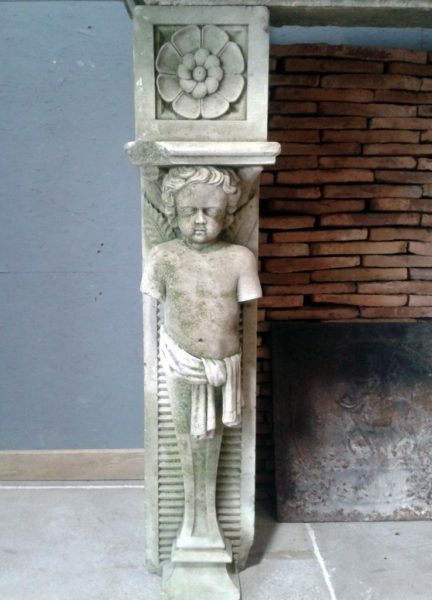 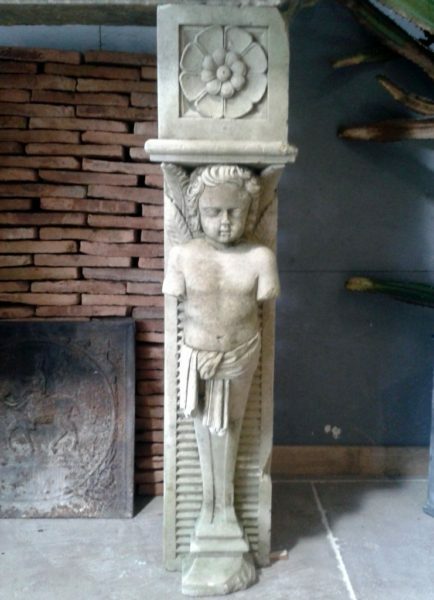 Pair of antique jambs with carved cherub statues. 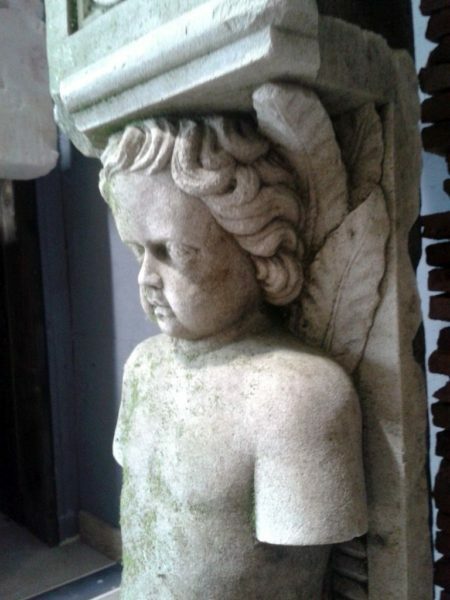 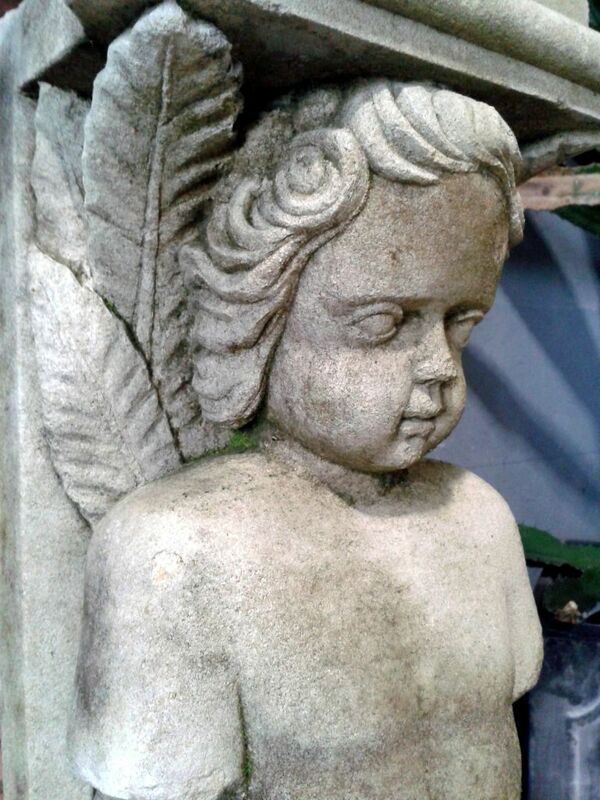 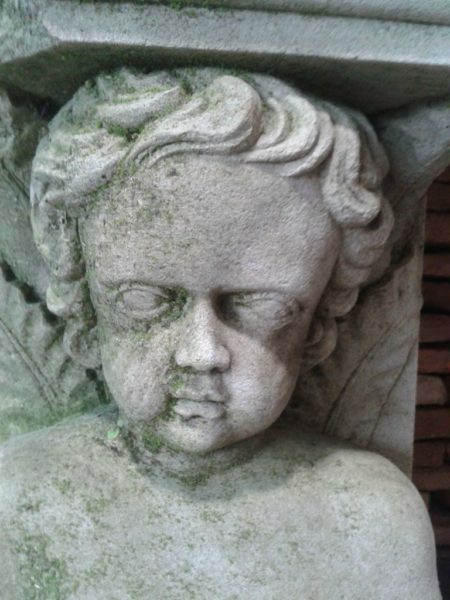 Centuries old, gardian cherubs in antique French limestone. 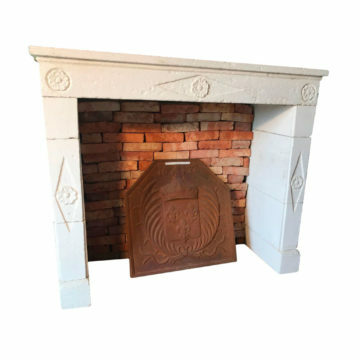 Shown here set up in its intended fireplace format but with a “borrowed” lintel with side returns of comparable age. 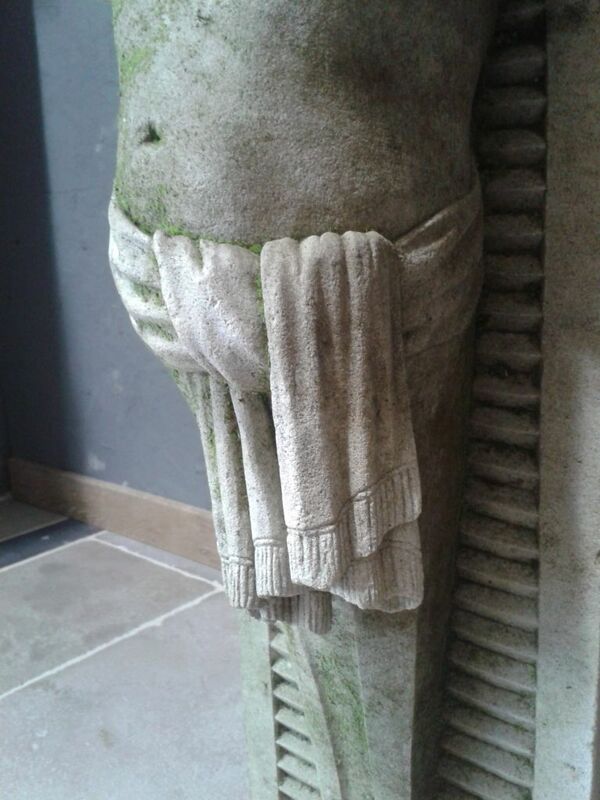 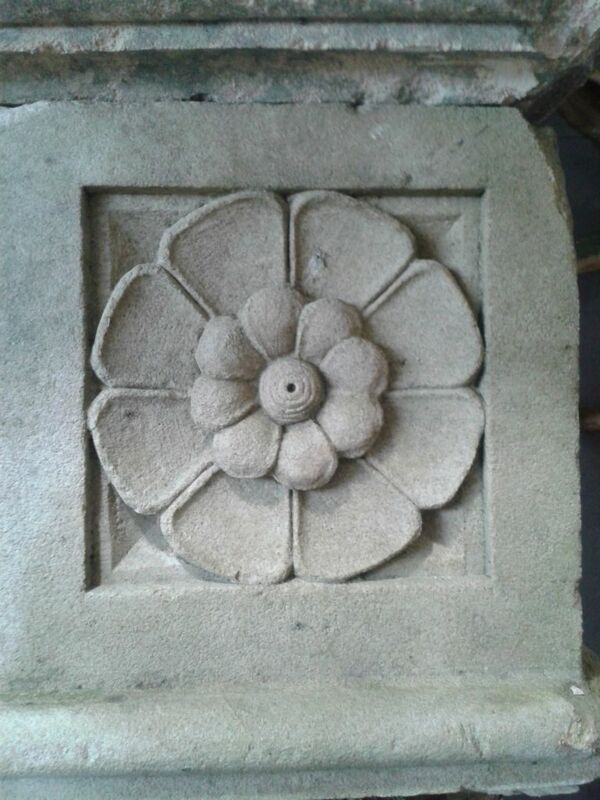 These jambs are each carved from a single block of stone. 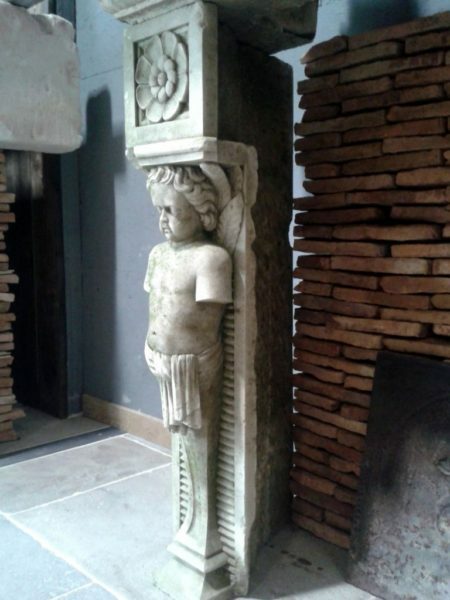 On display at BCA’s Normandy premises at Méry Corbon. 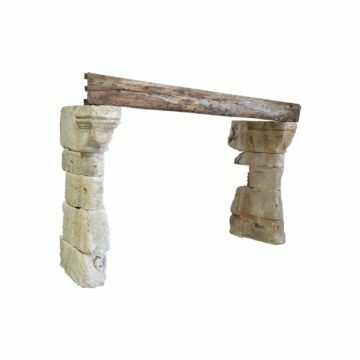 Metric dimensions approx: Jamb height 97cm x jamb width 25cm x front-to-back 47cm. 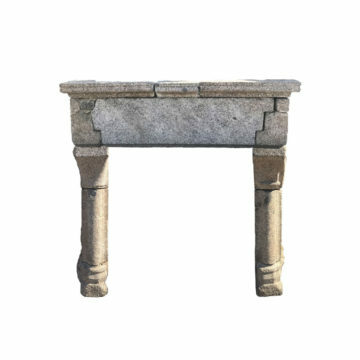 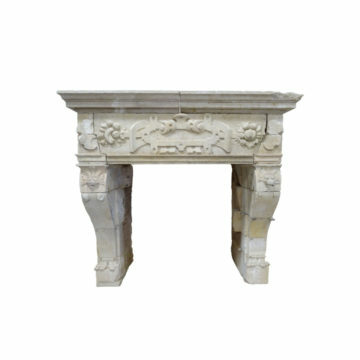 Imperial dimensions approx: Jamb height 38 inches x jamb width 10 inches x front-to-back 18.5 inches.